There is a steep learning curve whether you’ve got a videographer on staff or not. Quite frankly, even if you’ve mastered production, there are many more things to learn and develop. 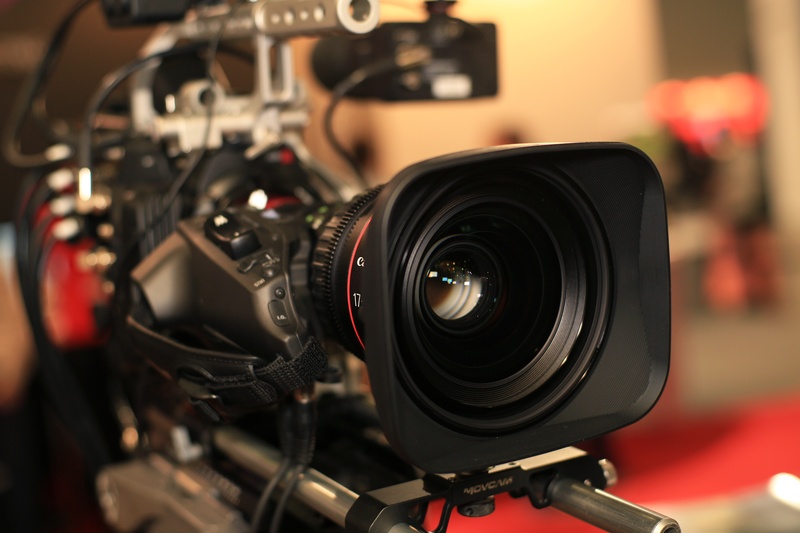 The thing is, the most common mistakes that companies make with video could be easily avoided. In most cases, they simply occur due to lack of experience and/or direction. At IMPACT, we work with companies each day to help them develop and execute video marketing strategies. Over the course of watching their growth and experiencing the effects of making simple mistakes, we’ve narrowed down some of the things that may hinder your success with video as well. Poor lighting can be tolerated but is less than ideal, especially if you’re making videos for professional purposes and want to keep your brand looking strong. Whether you’re using natural lighting or powered lighting, inside or outside, you want to keep your subject properly exposed, contrasted from the background, and maintaining normal colors. This can be done with the help of technology by using a field monitor, histogram, and/or judging it by sight. Is your subject’s face completely visible? Are there hard shadows on either side? You can capture great lighting by simply sitting next to a window, but you need to understand how light affects your subject. This means you’ll also need to be familiar with exposure and how your camera captures lighting in different environments. Bad audio stinks. No exceptions. Capturing good audio that is properly leveled, isolated to the person speaking, and easy to listen to is the goal. This means you need to calibrate and monitor your audio while you are shooting. Many audio issues cannot be fixed in post production. In most cases (like 99.9% of cases), your onboard microphone on your camera will not cut it. Instead, you’ll need external microphones and recording devices to capture all of your audio. Different scenarios will call for different microphones as well. Lapels or Lavaliers are best suited for capturing audio in a crowded area. Shotgun mics are good for capturing audio in a quieter area where you may have more than one subject speaking. Cardioid microphones are good for voiceovers or interview settings that require a mobile microphone. It might not sound critical, but it makes a big difference when you can create aesthetically pleasing shots. This requires proper framing using balance and intention. There’s actually a science to this formula, known as the Fibonacci sequence, or golden ratio. This has been linked to the way that we perceive beauty, as well as a way to direct our eyes to a subject. I’m not going to explain all the science, but using the rule of thirds is important. Another element of proper composition is using leading lines, or in other words, framing the subject in a way that draws your eyes. By using this technique, you create a more pleasant viewing experience and avoid distractions for the viewer. In most cases, scripts are a very valuable element to the production process. Using a script template, you can make a full outline which gives the camera operators, on-camera talent, editors and others an order of events. This script, though, is not meant to give a full dialogue to your educational marketing videos. It’s rare that you’ll have “actor level” talent within your organization. But that’s okay because we aren’t trying to act. Instead, you want to put real people in front of the camera and have them speak to viewers as if they were there in person. You shouldn’t need a script for that. We’ve found that the best way to write and use a script is to divide your message into sections and bullet point your lines. This way you can communicate each bullet point with your own words. This comes across more genuine and helpful rather than robotic and rehearsed. As a side note, this doesn’t always apply to every video. If you’re making hero content that requires very specific lines, script away. Resist the urge to use all those “fancy” transitions. Those 3D blocks, stars, and wipe transitions that come with Premiere and Final Cut Pro don’t represent the quality you want to produce. At this point in 2017, jump cuts (no transitions) or dissolves (fade in or out) will be plenty and won’t distract from your message. If you want to use more complex transitions, consider purchasing professionally made transition templates that you can import into your video editing program. This is a crucial part of education and reinforcing your message. Teachers use dry erase boards, presenters use slideshows, videographers use video overlays. In nearly every video, there will be opportunities to illustrate, demonstrate, or otherwise show examples of what you’re speaking on. They don’t even have to be fancy, they just need to fit within your frame and be easy to read. Nearly every video editing program, including smartphone apps, will allow you overlay images, text, and in some cases, other videos. Shooting at different frame rates allows us the ability to capture video and use it for different purposes. For instance, a fast frame rate will produce great footage for slow motion, while a slow frame rate could be used for timelapses. The frame rate is how many frames (or pictures) the camera is capturing per second. The standard frame rate used in most cinematic instances is 24 fps (frames per second). This creates the most visually pleasing motion picture because it mimics the human eye’s ability to capture and translate motion. The best frame rate to shoot standard footage is either 24 or 30fps. If you are capturing b-roll footage, 120fps will create enough frames to display buttery smooth slow motion. Good footage isn’t shaky. Shaky footage isn’t good. There are some ways to stabilize your footage in post production if need be, but they aren’t meant to fix really bad shots. Investing in some inexpensive stabilization gear like tripods and monopods will immediately improve your footage. If you’re capturing handheld footage, use camera handling techniques to eliminate harsh movements. If you're looking to create flawless moving footage, you could also invest in a handheld gimbal. Gimbals require tedious calibration, however, they improve b-cam or moving footage immensely. Search engine optimization is changing. This is most certainly the case when it comes to video SEO. Not long ago, YouTube’s algorithm would have selected and suggested your video simply based on its title, tags, and description. Additionally, there was significantly less video content on the platform, making search a bit less competitive. Instead of just throwing a video together, realize that the way you present your information matters. In fact, the way you tailor your message may be more important than having wicked production skills. Viewers need a clear path to proceed if you need them to take action after your video. They probably don’t understand the buying process as well as you, so keep it simple. This mistake takes place for a variety of reasons but most times it's because the videographer isn’t familiar with where their videos fit into the sales process. Other times, the marketing team straight up just doesn’t know what the call-to-action should be. If you don’t know what you want the viewer to do, how will they? With a pre-production checklist, you can identify where video content fits within the buyer’s journey. Based on that information, you can craft relevant calls-to-action and incorporate them into scripts or, at the very least, on-screen text. The intro is arguably the most important part of each video you make. It’s during this first 10 seconds that viewers decide whether they’re going to stay or go. Even subconsciously. The reason we’re so critical during this first impression is because there is enough content to be picky. Even if your message is great, you have to present it properly. We’ve applied copywriting intro techniques to video intros and seen viewer retention rates improve almost immediately. First, the APP method, which I talk about in detail here, in which you use three stages to affirm the viewer's problem and preview the solution. Offer A Bridge: Create a bridge between the two situations, and position your video as the solution. There are many ways you could go about writing your titles. You can write for SEO benefits, write for positive clickbait, or a mixture of both. However, often times we see great content misrepresented by a bad title. You need to include some adjectives, drop your company name, and think about what people are looking for. A great title will generate interest by clearly stating the topic and value proposition but also include SEO friendly keywords where it’s necessary. Video marketing is a visual strategy and it’s constantly changing. What’s considered tasteful and professional today, likely won’t be 5 years from now. Similarly, what worked 5 years ago doesn’t work today. As you begin to create the “culture of video” within your organization, keep in mind that in order to stay on top with video, your team needs to commit to further education. As equipment, programs, platforms, and viewers change over time, so should your approach to video.